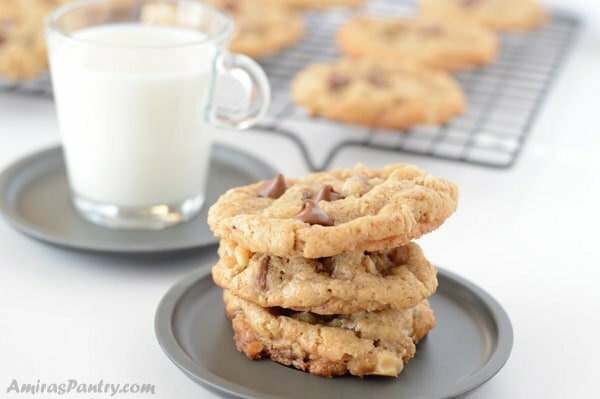 To die for old fashioned oatmeal cookies, thick and chewy oatmeal chocolate chip cookies. These babes are chewy in the middle and a little crispy at the edges. 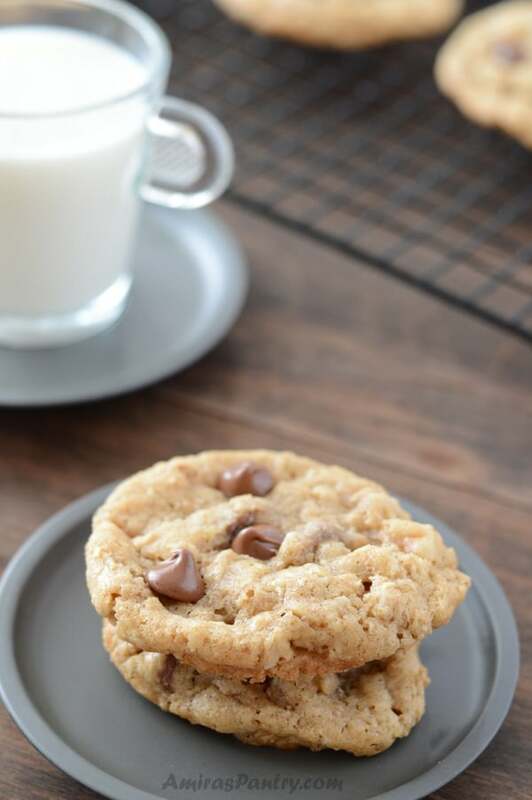 When we first landed here, oatmeal cookies were one of the earliest American cookies I tried, even before the regular chocolate chip cookies!!! and to my surprise I liked them. We did not have that kind of cookies back then in Egypt, and I haven’t even heard of the term chocolate chip. I believe they are sold now in Egypt but that was not the case 11 years ago. 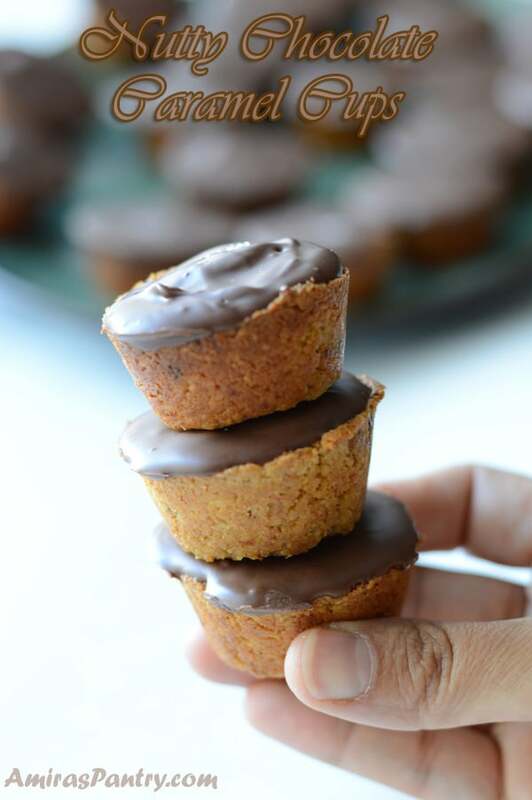 I’ve been planning to trying making them myself, I’ve tried so many recipes and let me tell you, every time I try a recipe it pleases some and not so much for others. Some like it thin and crispy, other like it thick and chewy. Until I came up with this recipe that really pleased everyone . Here at home and at my hubby’s work, everyone liked them a lot. These were both adults and kids approved kind of cookies. I think the addition of the milk chocolate pleased the kiddos, while walnuts along with the cinnamon and clove flavors pleased the adults more. It was thin and crispy at the edge while thick and chewy in the middle so that pleased a lot of people. First beat butter and shortening. Then add the white and brown sugars and beat more until very well combined. Crack the egg and add the vanilla and beat once more. Add the oatmeal and mix with a spoon. Then we’ll mix the flour with all the spices and add to the mixture. 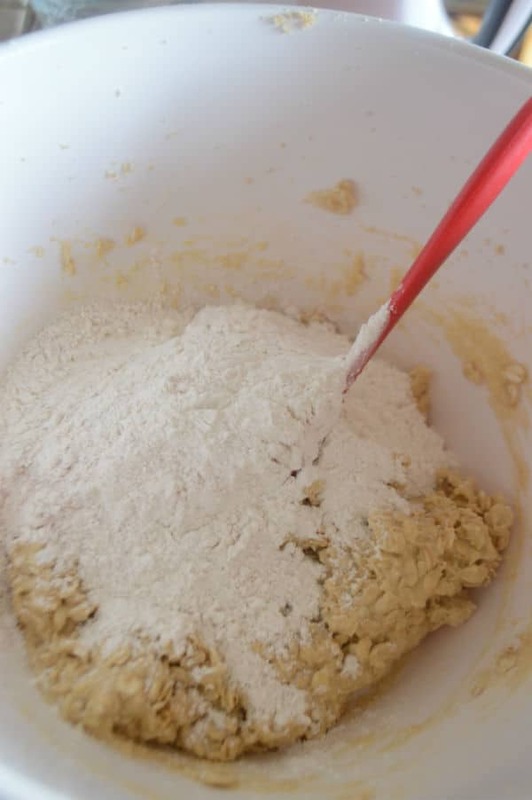 Mix until flour is well incorporated in the dough. 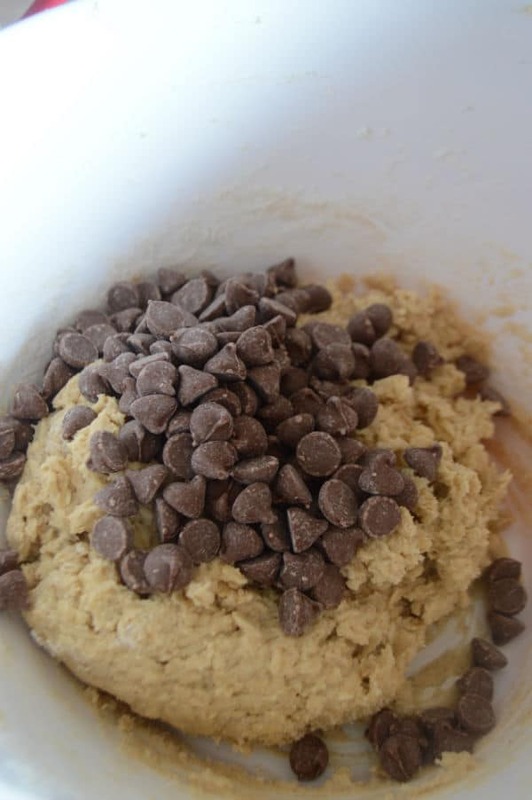 Add the chocolate chips and the walnuts. If nuts is not your thing in cookies, feel free to use traditional raisins or skip any more additions. An as usual we’ll need to chill the dough before shaping and baking. I’ve shaped mine tall to get thicker cookies. Bake in the oven for almost 12 minutes, try not to overbake as they will continue to cook while they are cooling. I’ve baked some with nuts and chocolate chips and others only with the chocolate chips, personally I liked those with chocolate chips only, but hubby and many of his co-workers liked it with nuts as well. 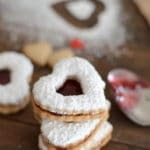 So I guess you should consider your own personal preference in cookies when making these. 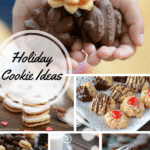 I promise guys that this is going to be my last cookies post this season or at least for a while :), but I am pretty sure I got you covered especially if you are going to have a cookies swap this season. 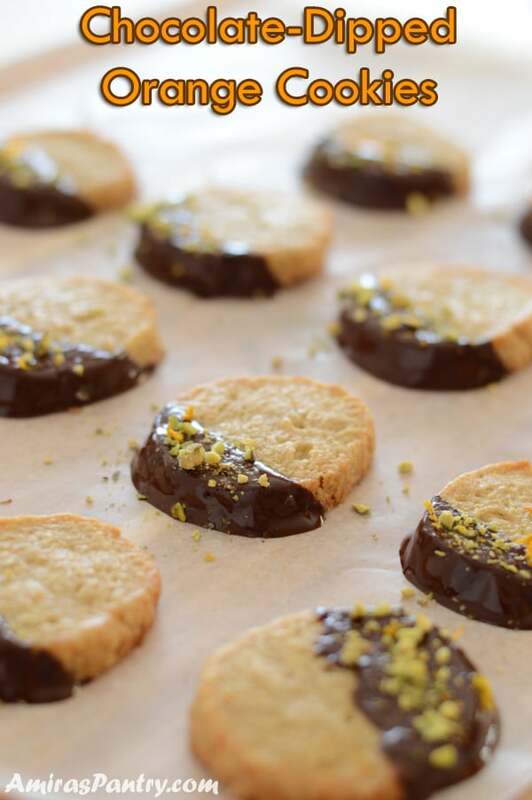 I hope you’ll like making this recipe.. and until next recipe.. Merry Christmas to you all . 1/2 cup unsalted butter room temperature. 1/2 cup shortening like crisco. 1 cup packed light brown sugar. 1/2 cup granulated white sugar. 1 teaspoon vanilla extract or a dash of vanilla powder. 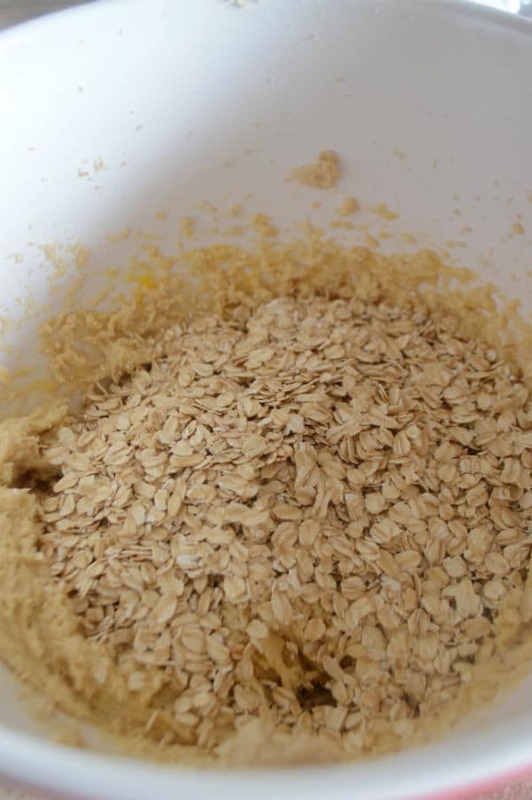 2 cups regular rolled oats. 1 cup coarsely chopped walnuts. 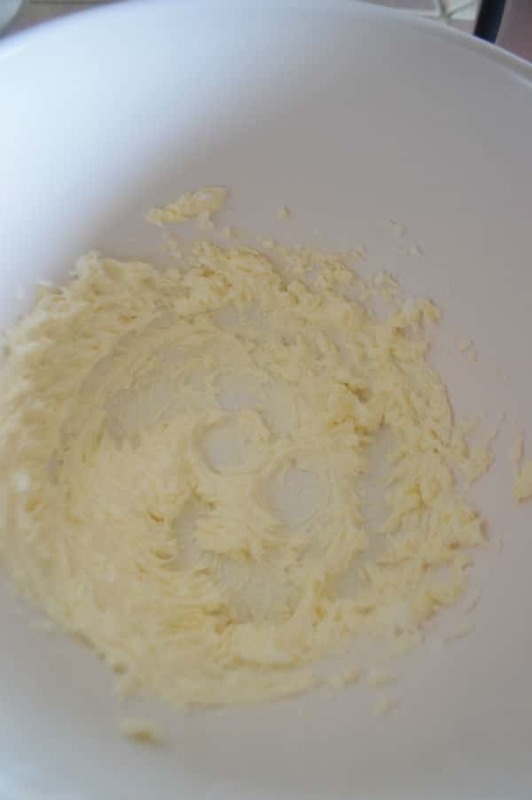 In a large bowl, beat butter with an electric mixer on medium for 30 seconds. Add brown sugar and white sugar and mix well for another 2 minutes. Beat eggs one at a time and add the vanilla. Stir in the oatmeal and mix well with a spoon. In a separate bowl, combine flour, baking soda, salt, baking powder, cinnamon and cloves. 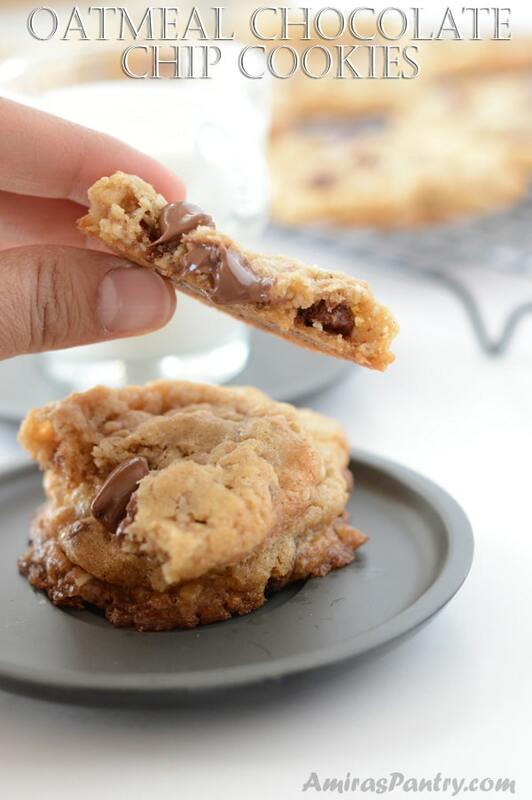 Fold in chocolate chip and walnuts. Chill dough in the fridge for 1 hour. Bake in a 350F preheated oven for 12 minutes, do not over bake. * My cookies were the size of two small ice cream scoops , then I shaped them into tall cylinder cookies. ** Please be aware that baking time vary according to your oven, and every oven is different. 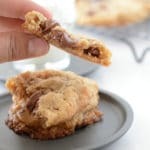 I’ve experienced with many temperatures and cooking times and found that at 350F for exactly 12 minutes resulted in perfect chewy in the middle with a little crunch on the edges kind of cookies. 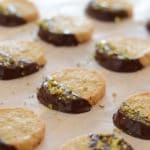 If you need more cookies recipes .. check out the cookies collection here. 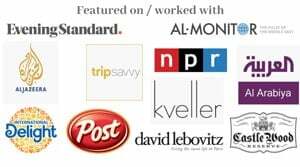 Meanwhile here are some of our latest. Oh and can I use slow cooking oats ? Well, forgive my ignorance but I do not know what is slow cooking oats :). I only know 3 types of oats: rolled, instant and steel-cut. Sorry for being of no help in this point Hala. I will try to search though. 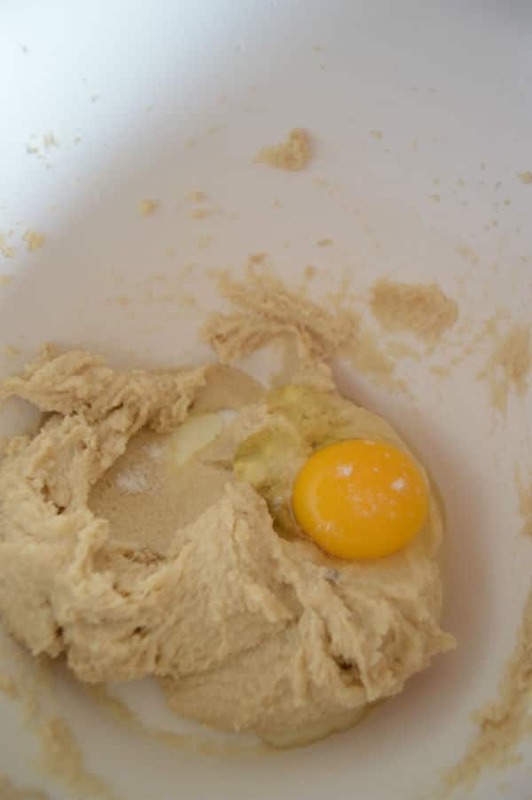 You can use butter instead, I like shortening as it does not make the cookie spread as butter does. So if you use butter, just know that cookies will spread faster. 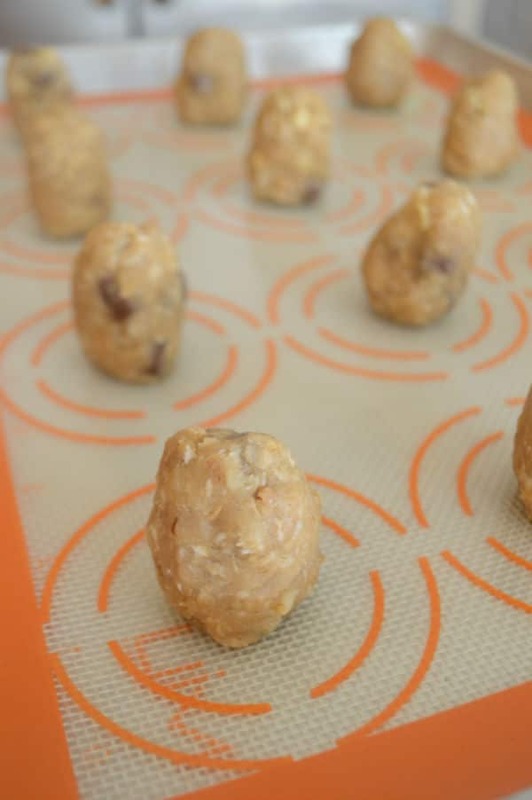 I recommend placing the cookies in the freezer for just 10 minutes after shaping them and before placing in the oven as this step might help reduce spreading.